One of the masterminds of Ahn’s mechanical changes was his pitching coach, Brandon Knight. Knight is a man of ample pitching experience. The right-hander had a cup of coffee with the Yankees in 2001 and 2002, and with the Mets in 2008. He also pitched in Japan, Venezuela, and South Korea, and had a couple of independent league stints. In the KBO, Knight pitched for the Samsung Lions in 2009 and 2010, and the then-Nexen Heroes from 2011 to 2014. He made a solid impression pitching in Korea for the last few years of his pro career, going 48-38, with a 3.84 ERA in six seasons in the KBO. 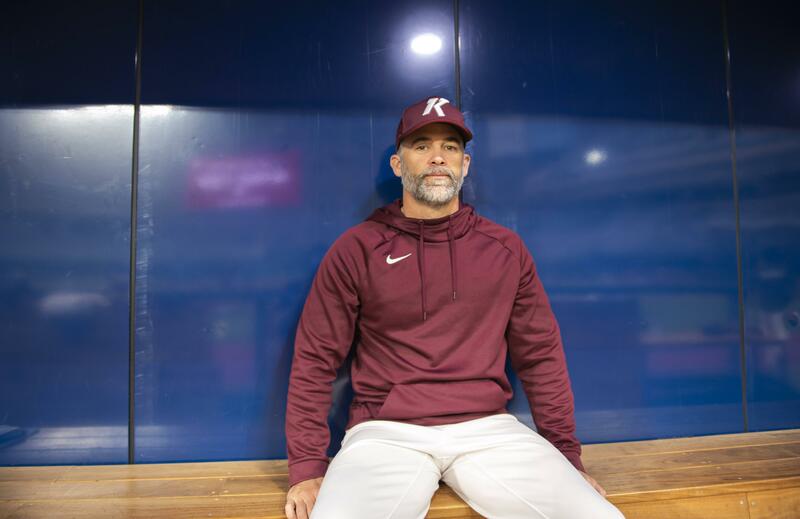 The Heroes hired Knight in late 2015 to be their pitching coordinator for the Futures League team and promoted him to pitching coach for the big league team in the middle of 2017 season. The following year, the Heroes started to prepare Ahn to pitch in the KBO. In April 2018, he tossed an inning against a college team, with Knight in attendance. “He was electric,” Knight recalls, “He was the same guy I saw on the video. 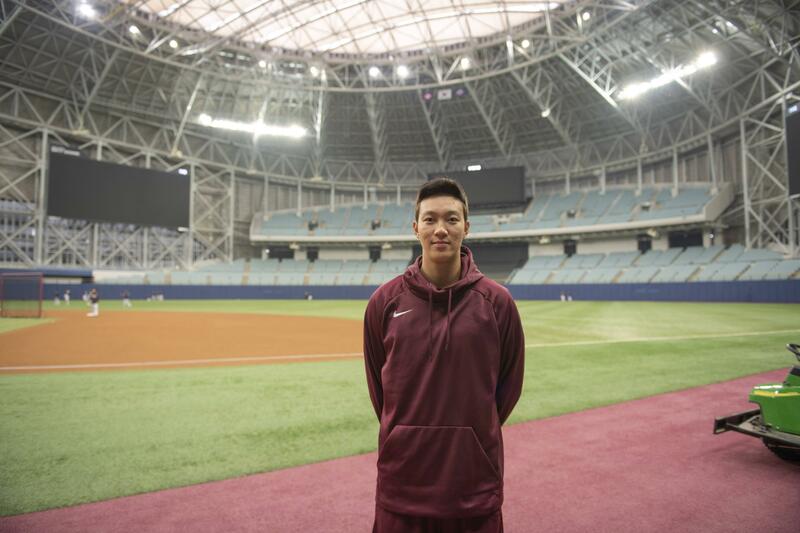 He struck out the side, topped out at 152 kmph (around 94 mph), pitched inside, threw a slider.” When it was getting close to when Ahn would see some action, the organization had him throw at the Gocheok Sky Dome to stretch him out. When Knight saw him throw, he thought something was off. “It was a bit different from what I previously saw,” Knight said, “His arm slot had dropped and he was doing some really strange things. Ma Jeong-Gil, our bullpen coach, looked over to me and said the same thing: ‘Does that look right to you? Not so to me.’” It turned out that Ahn wanted to do different things to his delivery to be able to hide the ball better. “It was just the wrong way for him to go about things,” Knight said. Here are couple of his deliveries from an outing on June 9, 2018 versus the KT Wiz. He gave up five earned runs and four walks in 3.2 innings pitched. In addition to coaching, Ahn turned to YouTube to look up videos of elite pitchers. He says his current pitching role model is Astros starter Justin Verlander. “I watch him a lot,” Ahn says. He noted that his first pitching role model was Pedro Martinez, but his lower three-quarter arm slot didn’t really fit him. “As for Verlander, he doesn’t really have that long of a stride and he releases the pitch from up high with good trajectory,” which is more in line with what Ahn is trying to accomplish. The 2,662 rpm figure is pretty impressive. In 2018, David Robertson ranked at the top in four-seamer average spin rates (with 500 minimum pitches) with 2,661 rpm. Even if Ahn’s average fastball spin rate is closer to around 2,400, it would still be in the upper-tier of the major leagues. Watching Ahn’s slider proves his point – it’s more about velocity, and the sharpness of the break rather than the amount of it, which is an ingredient for a classic hard slider. Here are a few of them from the 2018 postseason. The pitch was thrown 143 kmph (about 88.9 mph) with 2,438 rpm. As you see from the GIF below, Ahn’s slider’s main effectiveness comes from how sharply the trajectory changes before the hitter tries to make contact. Here’s another one with the same velocity, but with around 300 rpm less spin. However, it does just about the same thing – deceiving the hitter with a pitch that looks like a fastball out of the hand, but isn’t really. He does realize that it is a bit early to think too much about it, but it’s a nice goal to have. According to KBO rules, in order to be eligible for posting, a player has to have seven seasons under his belt, during which a pitcher has to have thrown two-thirds of the qualified number of innings, or been on the big league roster for more than 145 days in each season. And 19 years old it is quite early to talk about major league possibilities for any player in the KBO. A lot could happen before Ahn is eligible to be posted. But he’s a player worth keeping an eye on in the years to come. We hoped you liked reading Ahn Woo-Jin Is Ready to Take on the KBO by Sung Min Kim! Sung-Min Kim writes for River Ave. Blues, and has written for MLB.com, The Washington Post, Baseball America and VICE Sports. Besides baseball writing, he is also passionate about photojournalism and radio broadcasting. Follow him on Twitter @sung_minkim. This is great. A couple months of articles like this are probably going to turn me into someone who follows the KBO.